This free, printable holy card features the Virgin Mary ascending to heaven with a host of angels. 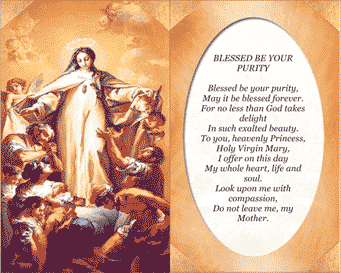 On the other side is prayer to the Mother of God "Blessed Be Your Purity." May it be blessed forever. My whole heart, life and soul.